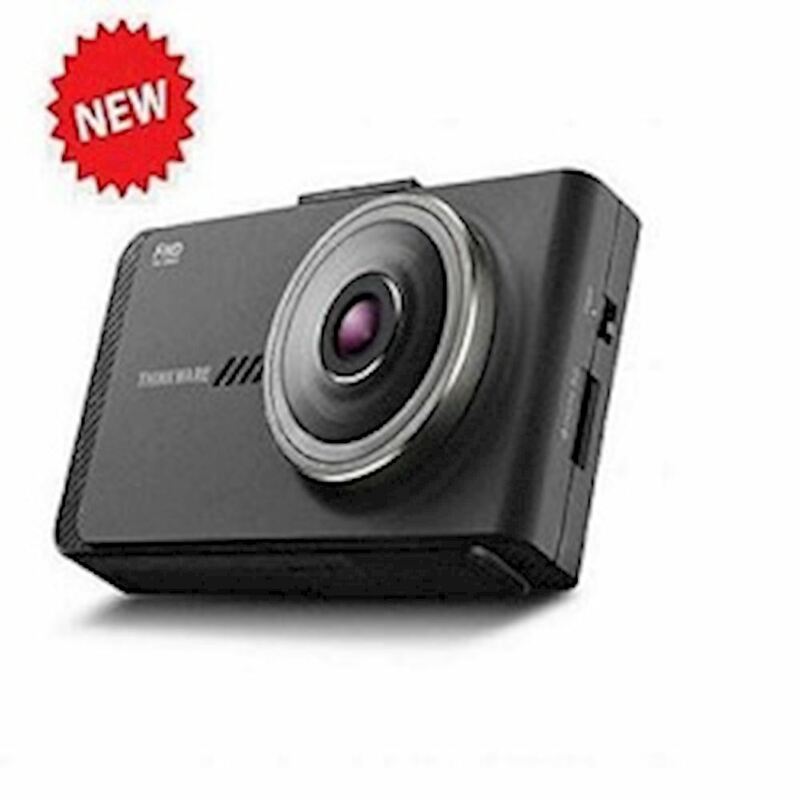 Complete with a Resistive Touch LCD Screen, the Thinkware Dash Cam X700 is equipped with the Road Safety Warning System that provides audio and visual alerts for Lane Departure (LDWS), Front Collision (FCWS) and Front Vehicle Departure (FVDW). It detects road markings and gives voice warnings to the drivers if the vehicle begins to stray from its lane or when it is at risk of an imminent crash. 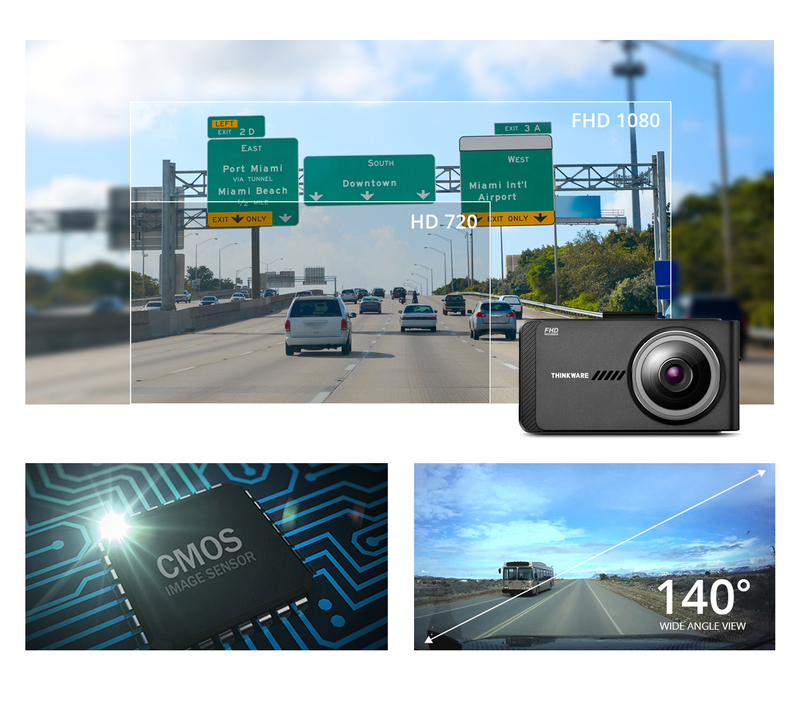 CMOS Image Sensors allow constant front and rearview Full 1080p HD resolution recording during both daytime and nighttime along with 142.7-degree wide angle lens view. This will minimize blind spots to assure recording of all events without fail. No Wi-Fi or Data exchange is needed to access your dash cam. Now, with 2.7-inch resistive full touch LCD screen, you can easily access the menu to check the video and/or to change settings. Videos recorded by a dash cam in a low light environment such as a dark alleyway or underground parking lot can pose difficulties when you try to accurately identify information from the image. TIME LAPSE MODE in the X700 records 2 frames per second reducing the size of the video file. This allows video recordings in parking mode to continue up to 16 times longer than other dash cams. The THINKWARE DASH CAM X700 is equipped with the Lane Departure Warning System (LDWS), Front Collision Warning System (FCWS), Urban Front Collision Warning System(uFCWS) and Front Vehicle Departure Warning (FVDW) to ensure driver safety with a voice and visual warning. exposure levels can result in excessively bright or dark recordings. The WDR function eliminates excessively bright spots on the recording to correct its color balance in order to ensure a clear image. Even if you are away from the car, your dash cam will keep an eye on what’s happening and store the footage into storage when an impact and/or motion is detected. Or use Time Lapse to store the footage in 2 frames per second. X700 utilizes the FAT (File Allocation Table) system. This allows THINKWARE’s proprietary Format Free Technology to eliminate the need for periodical manual formatting of recorded video files on the microSD memory card. It also helps extend the life of your memory card. You can view recorded video files on any PC without having to worry about converting files. 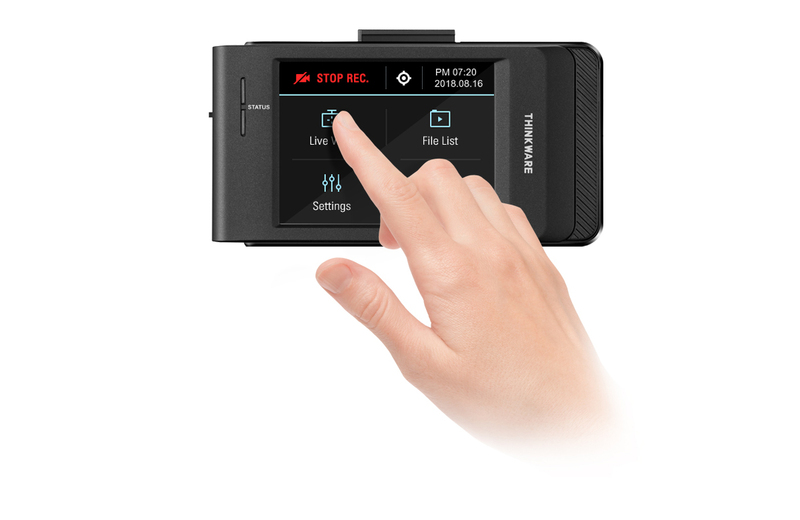 THINKWARE DASH CAM X700 saves the hassle of manually clearing memory space. With the optional GPS Tracker, the THINKWARE DASH CAM X700 can record the vehicle’s driving speed and provide its precise location and routes identification on the map. The GPS Tracker helps you to accurately assess the details of the surrounding area by providing you with the vehicle speed and the time of a collision, and the severity of an impact. The video recording feature not only stores driving footages in case of an event, but it can also be used to track your holiday travel routes.